Ring News 24Boxing News Breaking Boxing NewsCould Kyotaro Fujimoto Face Anthony Joshua in 2019? Whether you love him or loathe him, there isn’t a heavyweight in the world that draws interest or excites fans the way that heavyweight champion Anthony Joshua does. Joshua holds the IBF, WBA, and WBO titles and there is never a shortage of opponents who are calling him out and seeking a date with destiny against the British champion. 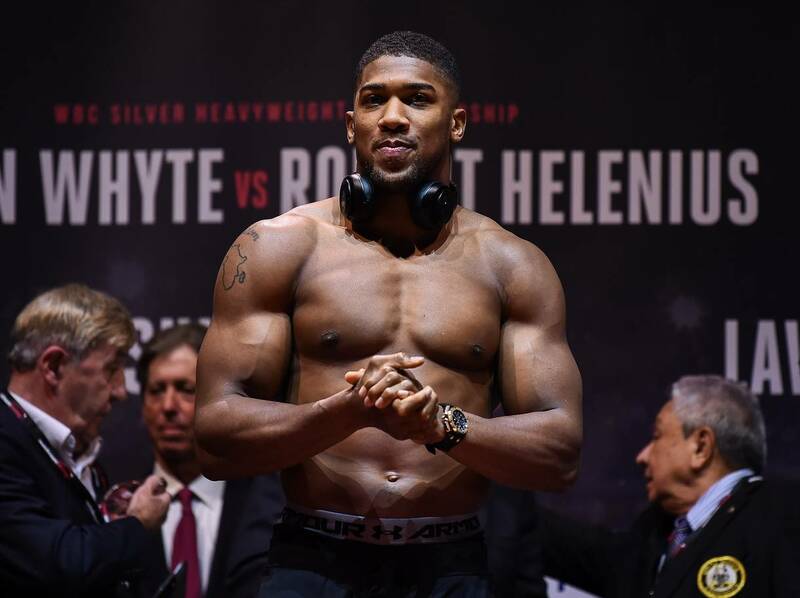 It looks all but likely that Joshua will be facing off unbeaten American Jarrell Miller in his next fight, likely in June in New York, and after that their will surely be more clamor from fans for him to face the winner of the all-but-certain rematch between WBC champion Deontay Wilder and Tyson Fury. But we all know how things work at the negotiating table, and we very well may not see that scenario happening. Remember the fallout from the Joshua-Wilder negotiations last year? Things don’t always go over so smoothly when promoters break bread on big fights, and we often get matchups that we didn’t expect. So it goes without saying that we may be seeing Joshua fight some different next these next few years. One of the men who appears to be angling for a shot is once-beaten contender Kyotaro Fujimoto from Japan. I know you may be thinking ‘Who?’, but during a recent interview with Skysports, the 32-year old opened up on his history and the possibility of a Joshua fight happening. Fujimoto started his career in K-1 but later set his sights on the sport of boxing, where he has compiled 20-1 record with 12 knockouts. He won the WBO Asia Pacific Heavyweight title in May of 2017 and has defended the belt in his last three appearances. At other points in his career he has also captured the Japanese and the OPBF Heavyweight titles. Fujimoto is pressing forward with his career and understands the hardships of trying to crossover. There were discussions in the past for Fujimoto to face off with former WBO champion Joseph Parker but they never materialized. Instead, people now seem to wonder about him facing off with Joshua sometime in the future. Fujimoto definitely stands out, not just because of his dyed-hair or physical stature. It’s obvious that he is a bright man, but his resume is a bit lacking of someone who you would want to see in the ring challenging for the sport’s biggest crown. Still, Fujimoto knows how special it would be for him to become the first Japanese Heavyweight champion.